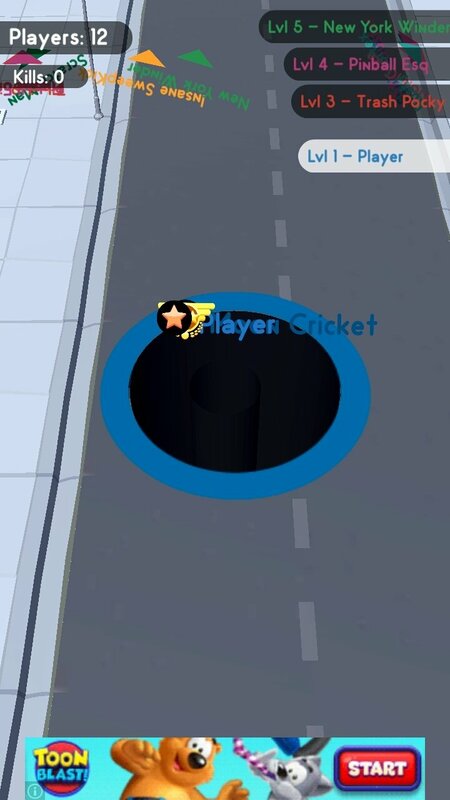 You've probably heard of Agar.io, and the hundreds of clones inspired by latter that have appeared as of lately. 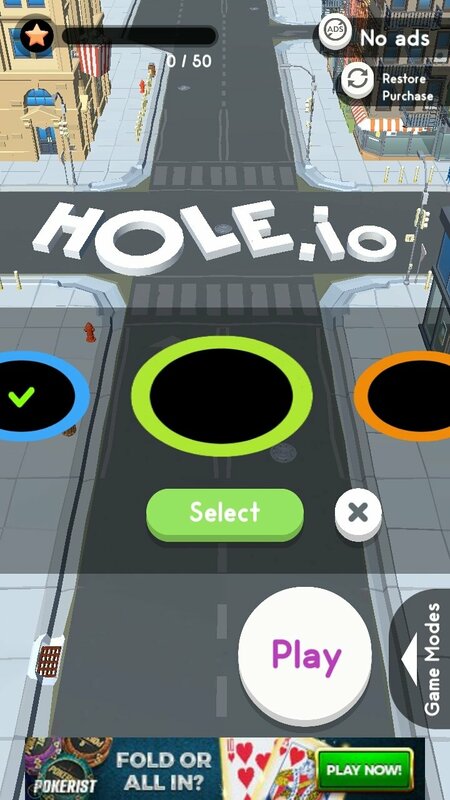 Hole.io is based on the same idea and we'll have to control a hole capable of eating everything whilst we avoid getting eaten by larger holes. 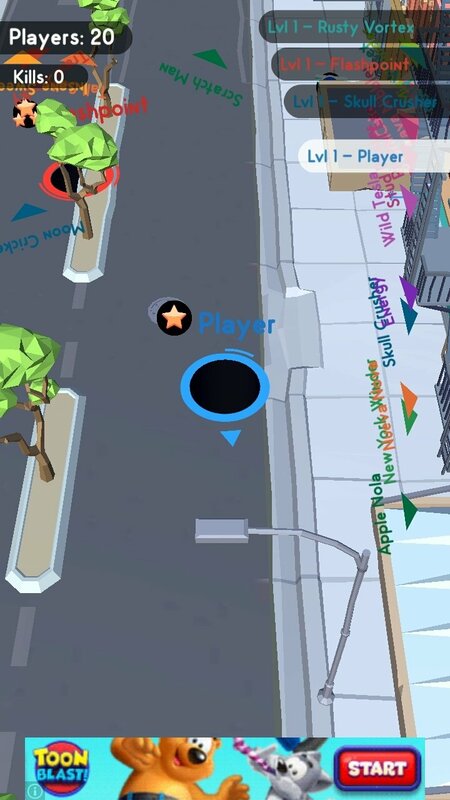 The scenario on which the action of this game takes place is the streets of a city in which we can eat people with our hole to make it grow larger and larger. 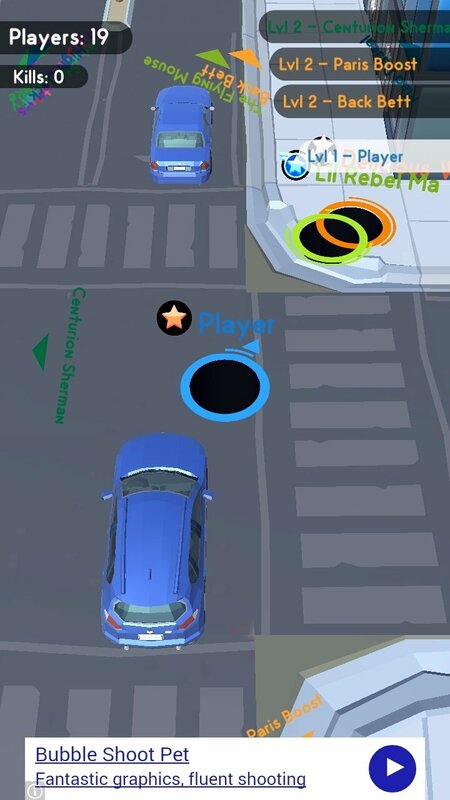 We can control it by swiping our finger around the screen and we'll try to chase anything edible whilst we also escape from larger holes than us in order to prevent getting eaten. 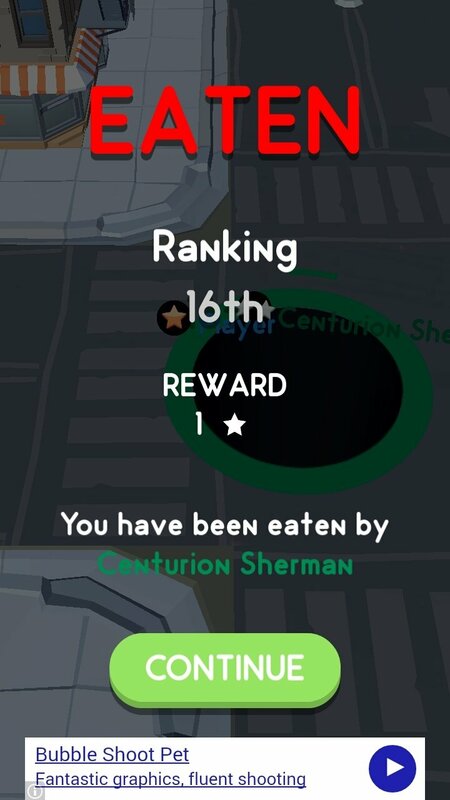 We can obviously eat those with dimensions smaller than ours. 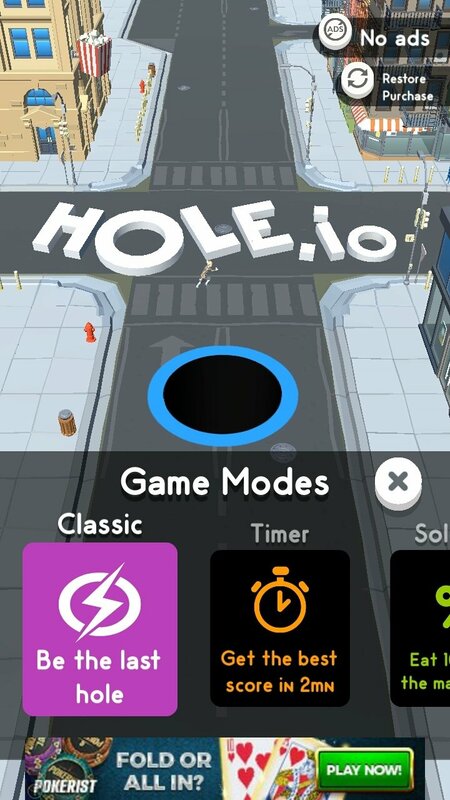 It's a title with a very simple gameplay that's easy to understand but slightly harder to master, especially if your smartphone is sluggish or has connection problems because that can make it more complicated to move and control your hole. 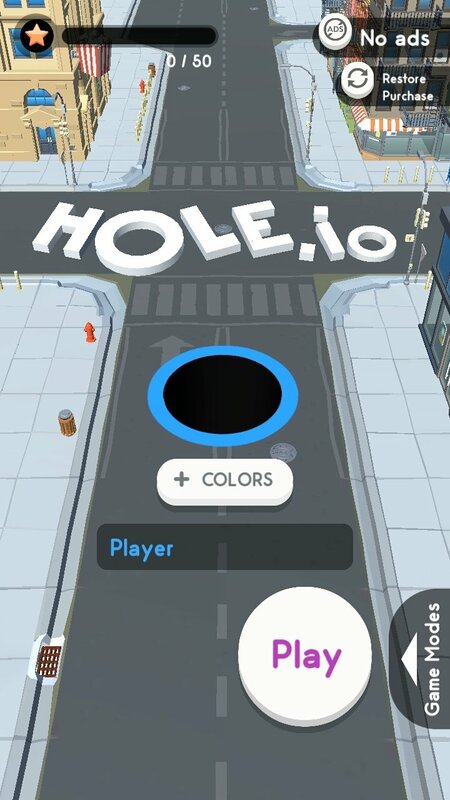 In any case, if you're a fan of this kind of competitive online casual game, don't hesitate to download the APK of Hole.io.